Georgia Locock | Opinions, thoughts and adventures of a young conservationist. Over the last few weeks, I’ve been preparing and sorting myself out to start back at university. It still feels as nerve wracking as last year, partly because I’m going to be starting at a different university and on a different course. I’m off to Hull university instead to study Zoology, this is slightly different to the degree I was studying in York, which I decided wasn’t quite for me. Anyway, a slight change of plan but it’s very exciting and I can’t wait for it all to kick off. In the meantime, this Saturday. I’m pretty certain there aren’t many who haven’t heard, but it’s the People’s Walk for Wildlife. A peaceful walk across London, gathering will begin at around 10 am in Hyde Park, with talks and entertainment beginning at 12 pm before the walk will begin at 1 pm. It will take a route through London to arrive opposite the gates of Downing Street for 2 pm. It’s called the People’s Walk for Wildlife for a reason. 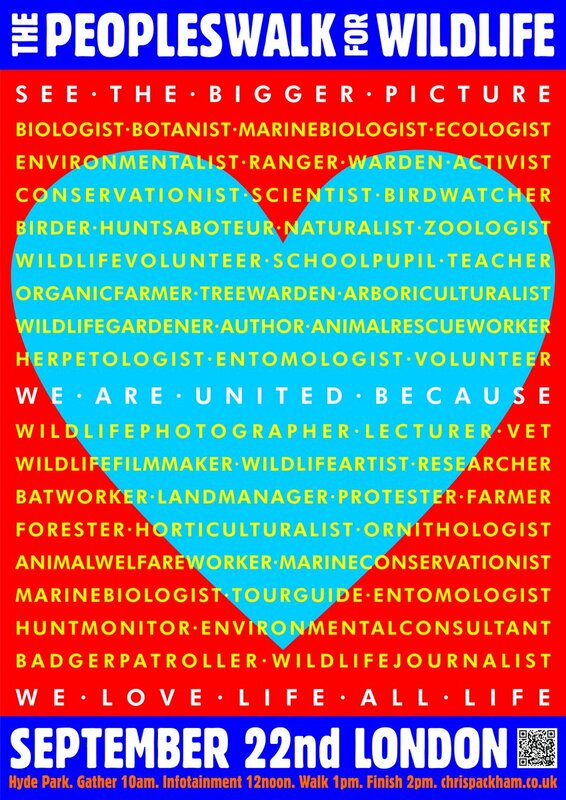 It’s for everyone who simply has a passion for wildlife and wants to protect it. Whatever background, interest or age, it’s about coming together and saying enough is enough. Whether they’re individuals there off their own back, part of a small scale campaign group or from a large NGO, we’re uniting. No more small baby steps or watching the government or media turn a blind eye, we need rapid change to prevent this downhill slope into biodiversity destruction continuing any longer. That is what this is all about, along with the accompanying People’s Manifesto for Wildlife which was released yesterday. 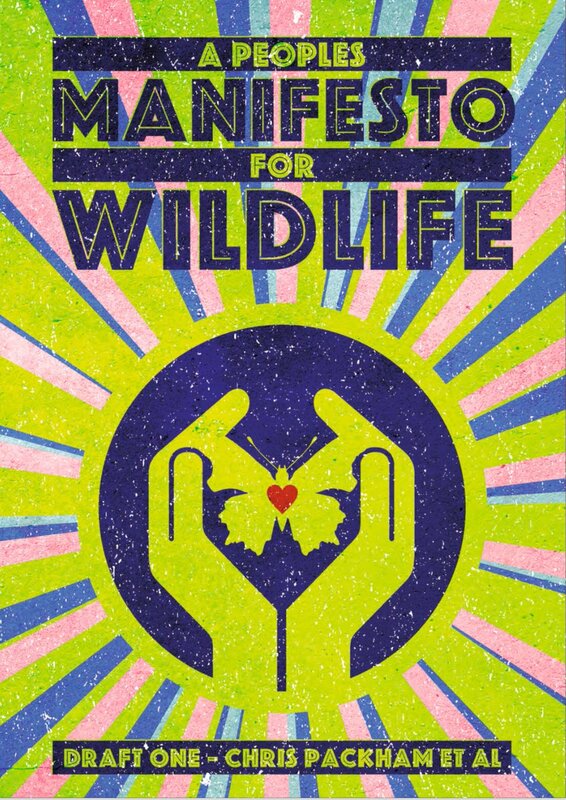 This is a beautiful and very powerful document which has been collaborated by Chris Packham and 18 individual ministers, along with a team of editors, illustrators and researchers. It’s just a first draft though. Neither the manifesto or the walk are a ‘one off’, they’re the beginning of a storm to come. I’ve been very fortunate and excited to be a part of Saturdays event and have contributed to the manifesto as one of the ministers for Young People in Nature, alongside fellow young conservationist, Bella Lack. 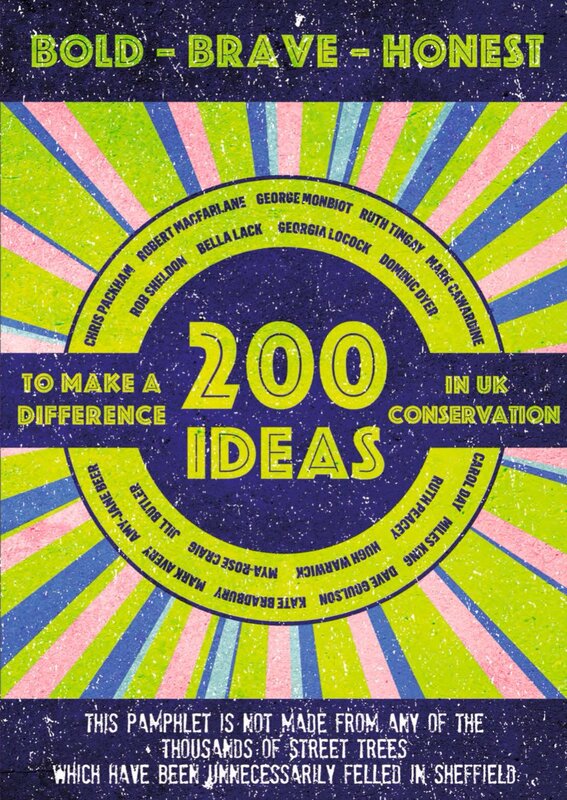 The manifesto is a collaboration of 17 ministries which cover a range of subjects and areas with over 200 ideas to make a change in UK conservation. It really is essential reading. Young people are a serious part of this. After all, this is their future and what they’ll see change more than anyone else, whether that’s for better or worse. A lot has been done to try and engage young people with the day and the manifesto. For example, the ‘Dictionary of Wildlife Wonders’. Of which, young people can add their own contributions to. Or perhaps write a spell or some rhyming couplets all about why they love wildlife, what’s special about it or what their hopes are for the future. You can find out more by clicking here. Is it a badger or an everlasting storm? One of my favourite things to do and it really captured my love for nature as a kid, is watching and filming badgers. They’re amazing animals. But they also represent an arrogant and ill-informed attitude towards our wildlife due to their tie-up in farming and Bovine TB debates, which has resulted in a mass slaughter of these creatures over the past few years. The question of the second line asks whether we’re going to make the right decision; act and be able to come face to face with wildlife in the future. Or are we going to continue as we are and watch biodiversity dwindle and fall, uncovering an everlasting storm. It’s been a while since my last blog. I’ll post another one with some updates over the next week or so, but for now I thought I’d let some of my readers and followers aware of something I’ll be doing tomorrow morning. Tomorrow I’m off to The Game Fair at Ragley Hall, the largest game fair event in the UK and it’s their 60’s anniversary. Known to some as ‘The Festival of the Great British Countryside’, I’ll be joining the BBC Radio 4 Today Programme who are broadcasting live from the event between 7-9am. It isn’t quite for reasons that the majority of those at the show will be there for though. I’m going to be debating the case for banning driven grouse shooting. Of course, on my behalf, I’ll be arguing with the science and hard evidence on the clear case for banning this outdated past time. Tune in from 7am to listen. I’ll also be attending and speaking at the Sheffield Hen Harrier Day a week tomorrow, more about that soon though! This blog post is long overdue. Mainly because it’s been another case of abandoning my blog due to settling into the new world of university life, but I also knew it would be a difficult task to explain and recall the experiences from when I visited Cyprus back in September to learn more about and make some short films on the illegal slaughter of migratory birds that pass over the island. It was incredible to experience the frontline of this issue but also very difficult at times. In the distance, the sweet call of the blackcap was being projected through an MP3 decoy. It was 3am and five of us were trudging over a ploughed field in the direction of the tape lure and as we approached a shrubby area, the noise got louder and louder. We were in an area known for bird trapping. The island of low trees and shrubs within an area of open fields, where the traps were set, was around 200 metres from a house. We couldn’t afford to make any unnecessary noise. As one of us went to stand-by in case the trapper came back, we all began looking for limesticks. Speed and efficiency was everything. This was my first time out in the field since arriving on Cyprus. Most British tourists visit for its hot climate, beaches and nights out. Instead, I was holding a Lesser Whitethroat smothered in the paste of a limestick. 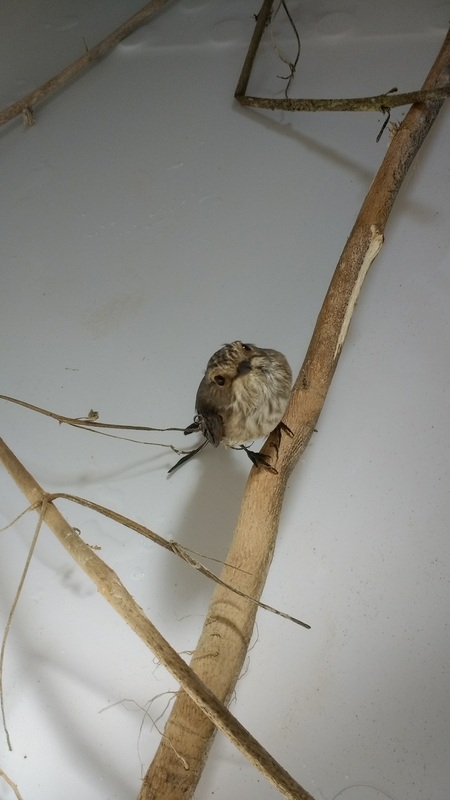 Its head was wrapped around the stick, with its beak embedded. It was pitch black, we couldn’t use torches as we’d attract too much attention. Instead, we carefully shone a dim light to work out what state the bird was in and where to start in an attempt to release it. Submerged, it seemed there was little chance. The bird had seemingly been stuck for a long time, but it persisted with the odd twitch. Like a snare, the more it tried to escape and pull itself away, the more it entangled itself. Its delicate legs were clotted. After a careful extraction, we had removed the bird but it was barely moving. It had been there too long, although the bird was free, its legs were still cemented in the evil substance on the stick. I can’t think of a more brutal way for a bird to die. Two of the birds rescued on that night were taken back to be cleaned and released. Those doing this work and on the frontline in Cyprus are the Committee Against Bird Slaughter (CABS). 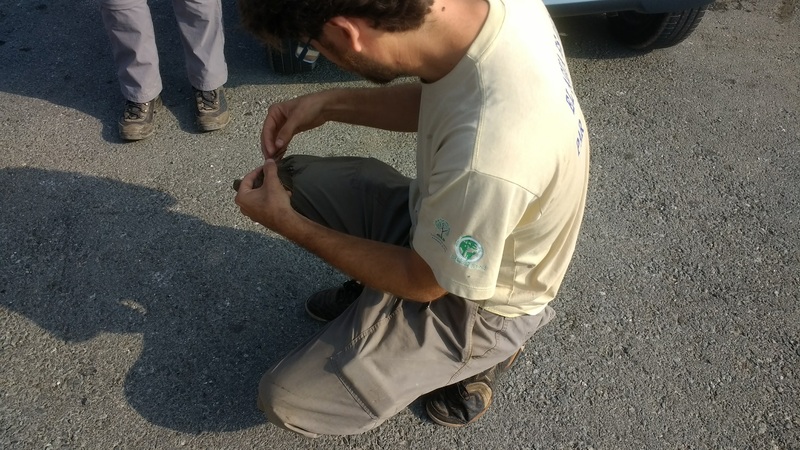 Volunteers from CABS spend tireless amount of time rescuing birds from trapping sites and fighting against illegal bird slaughter not just in Cyprus but across Europe. That night we collected around 150 limesticks. The limesticks are made using a small stick, about the right size to place in a bush, then covered in an incredibly strong and sticky substance which acts as a glue to trap birds when they land on the stick. Trappers will place multiple sticks within an area alongside an MP3 player as a decoy, which usually plays the song of Blackcaps. Such calls attract birds to the area, where they then find themselves surrounded by limesticks. Once stuck, they wait until they’re released by the trapper the next morning. This illegal trapping then continues when the birds are sold onto restaurants where they’re sold for large amounts of money to be eaten by Cypriots as a traditional, but illegal, ‘delicacy’ known as ‘Ambelopoulia’. This black-market trade has been illegal for over 40 years, yet it continues as many Cypriots still believe the practice to be traditional and it is big business for some trappers. 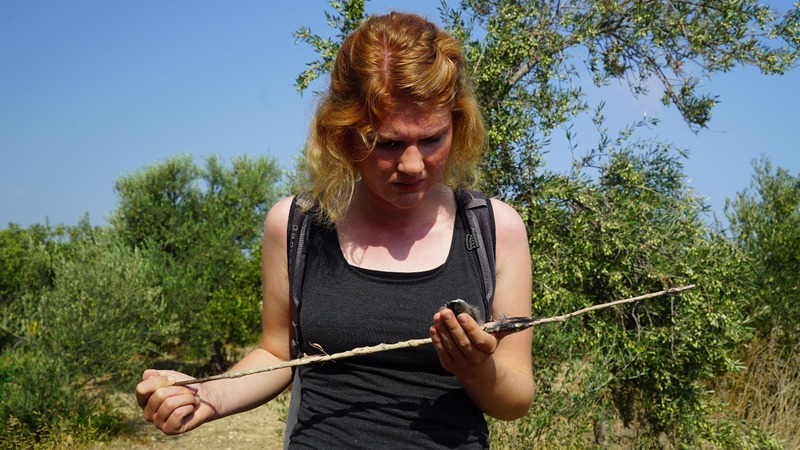 Back in 2016, on British Military Base in Cyprus, it was estimated that 800,000 birds were killed during the autumn using limesticks and mist nets. On another evening, just myself and a CABS volunteer were investigating the sound of a distant decoy. The mix of emotions was bizarre: it was exciting to find a trapping site and taking immediate action, along with being a part of a CABS mission. But it was also terrifying. We were darting across an open landscape of ploughed fields between shrubs at 2am with trappers nearby. It has become a dangerous job for some CABS volunteers, when we were on Cyprus, groups were threatened with knives and at a site just a week before, others were kidnapped and others shot at. Nevertheless, when illegal bird slaughter is taking place, they do anything they can to fight it. There are two British Military Bases on Cyprus, these are Akrotiri and Dhekelia. Along with spending time in the Republic, we spent most of our time on Dhekelia, which has been renowned for many years for the extensive illegal hunting which takes place here. This has created a lot of pressure on the British sovereignty as they are responsible for the crime taking place and up until recently, they were accused of doing very little about the situation. As I have already stated, in the autumn of 2016, 800,000 birds were illegally slaughtered on British land. However, change is being seen. CABS stated that just compared to 2016, there had been a decrease in the amount of trapping sites that they were finding each night. This was both in the Republic and on British Military Base. Speaking to the police, their attitude has also changed. They seemed keen to reduce and rule-out illegal bird trapping on their land, and this has been made obvious by clear results so far and methods they are evidently putting into place. For example, the use of drones with cameras to deter and gather evidence to prosecute trappers and removal of acacia trees and irrigation pipes. Further change needs to be happening in the Republic though. Political will is needed. More prosecutions are needed, especially prosecutions against those restaurants who are selling Ambelopoulia. It is widely believed that to thaw this tradition out, educational action is key. We went to visit Birdlife Cyprus who are acting in schools with educational programs and approaches to children. They have done this through numerous ways, from lesson plans to board games where children can learn about the birds they see. It is all with the intention of teaching and helping them to appreciate the bird life they see and respect this rather than believe that tradition is more important. Unfortunately, still, it is a difficult task as the trapping is very much traditional and passed down through generations. Nevertheless, it was amazing to see the work that Birdlife Cyprus are doing and to hear from their experiences. After a few bleak days of being on the front line of this horrendous slaughter in Cyprus, to learn and hear about this sort of progress was amazing. Not only do Birdlife Cyprus do educational work, they are also active on the front line and in the field when it comes to stopping the slaughter of migratory birds in Cyprus. In 2002, along with the RSPB, Birdlife Cyprus set up a Surveillance Programme. This has enabled them to gain long-term records of field data, from which reliable trends have been gathered and an overview of the bird trapping situation in Cyprus. Although there is a lot of bleakness in all of this, change is happening. The police on British land are taking action, CABS are going strong and education is being taken seriously. Along with those British tourists attracted to its beaches and hot weather, Cyprus also attracts many birders. Whilst on Cyprus, I did get the chance to see some exciting species. It was very odd to think how brilliant it was to see some species, then compare it to the state I’d seen others when attached to limesticks. 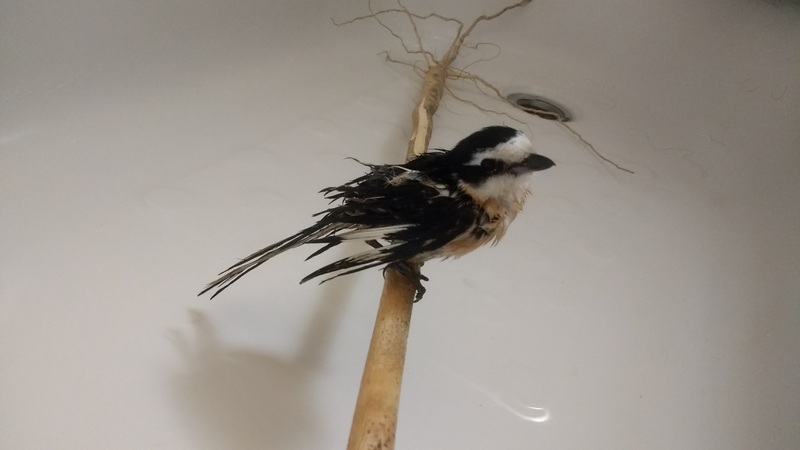 Especially after CABS volunteers rescued an adult male Masked Shrike. I’d dreamt of seeing one for a long time, but this one was looking back at me from within a bathtub after having its feathers unmated from the sticky glue of a limestick. The mixture of shear excitement and anger was a strange combination. Whilst on Cyprus, I created three short films that are aimed at younger audiences in the UK to explain to them about the situation. 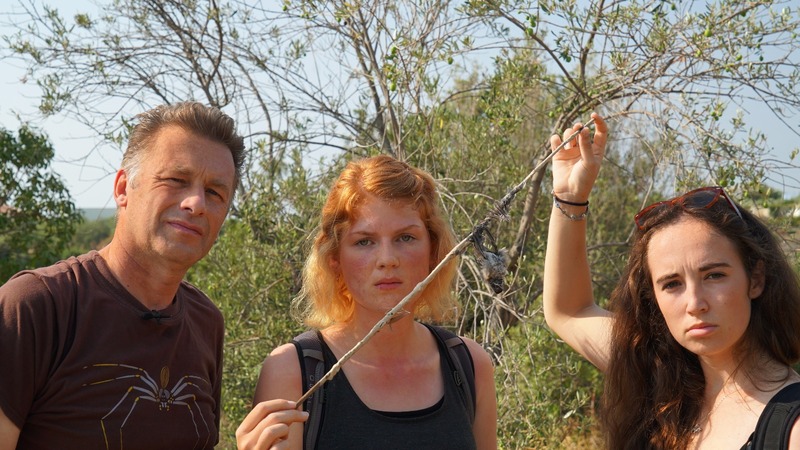 Others that I went with were Chris Packham, Megan McCubbin and Ruth Peacey, below are the links to the films that we made along with other information about the situation in Cyprus.